It's a great way to create declarative easy to understand user interfaces. It's pretty easy to learn with very little DSL (domain specific language) and a tiny API surface. That's all well and good but, what makes React very interesting and insanely compelling is it's ability to render outside of the DOM. #What does this mean for frontend developers? You are no longer bound to the browser. You no longer need to support IE8 (well no promises there). This doesn't mean you will necessarily be able to write one code base and have it run on all of these targets. But it does allow for code sharing across platforms. 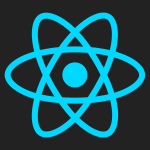 Check out some open source react native projects for how they handle this. #Did I miss any bridges? If you know of any other React bridges, let me know in the comments below and I can add them to the list.